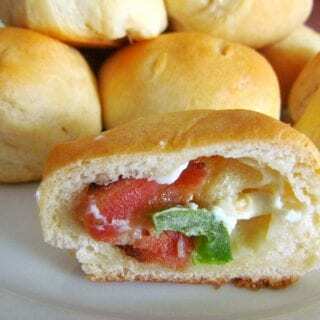 I thought it would be fun to share a fun and easy appetizer that gets gobbled up very quickly. The minute these bites hit the table, they are gone. So be prepared to make up a couple of batches. Grab a few friends and have them help you stuff them and it’ll make the process go a lot faster. Plus, everyone always hangs out in the kitchen at parties anyways, right? Might as well put those people to work. 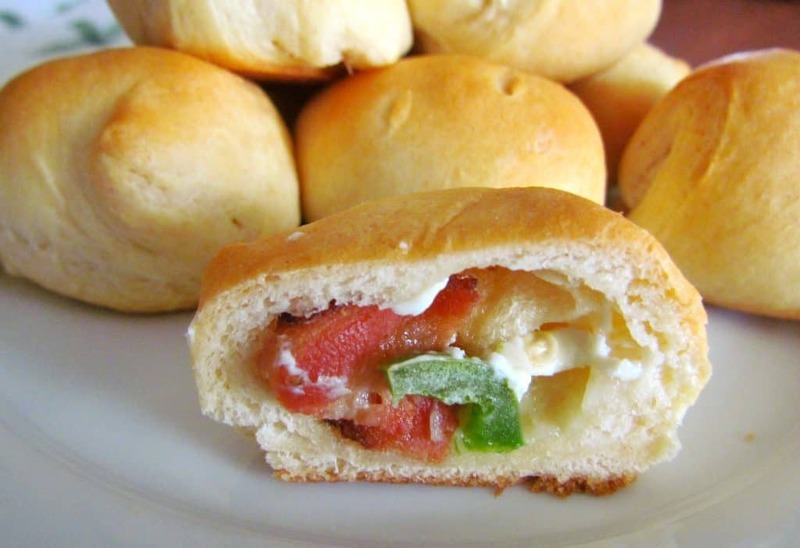 This recipe reminds me of some appetizers I ate at a Tupperware party once. Do you remember when they used to teach you how to burp your Tupperware? Or am I just showing my age here? My Mom used to have a little Tupperware container on a key chain with an actual lid. And I would sit there and burp that thing for hours. Sadly, that was exciting entertainment for me back in those days. I live for exhilarating moments like that. Preheat oven to 350F degrees. Spray baking sheet with nonstick cooking spray. 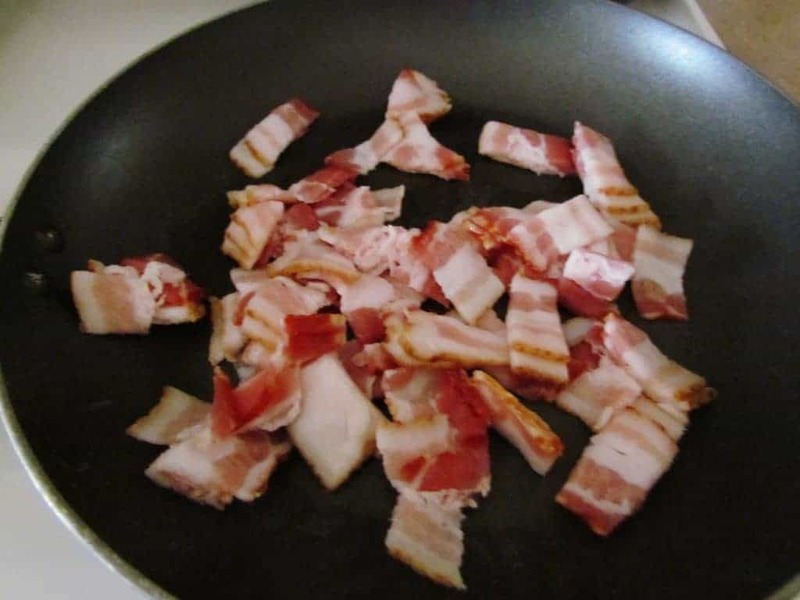 Start frying up your bacon. If you’d like, cut the bacon up in pieces (I used kitchen scissors) and then cook it. 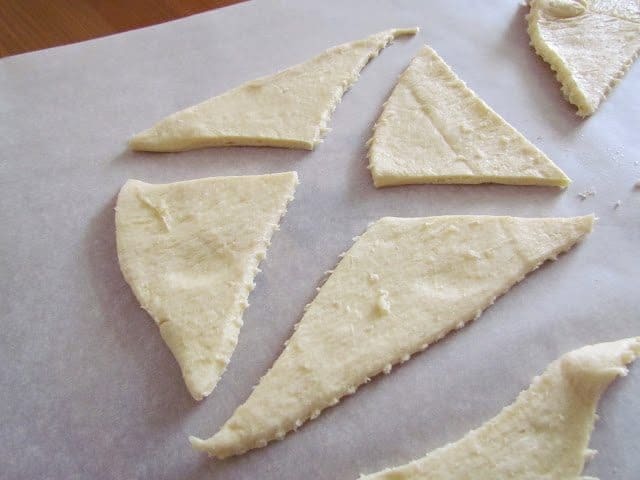 Now begin separating your crescent rolls into triangle shapes. 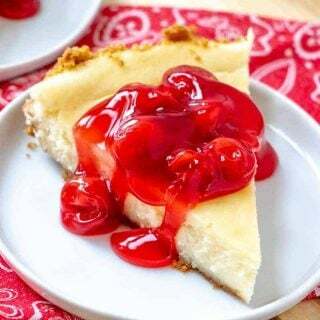 On each triangle, put a shmear of cream cheese. I like a lot of cream cheese so I put about 1/2 tbsp. or so on each one. Then put a piece of jalapeno, followed by some cooked bacon. Now time to roll them up in little bundles. Just do your best to close all the seams so the cream cheese doesn’t run out on ya while baking. Now place all your bundles on your baking sheet (seam side down). I usually only cook one set at a time. Let folks start eating the warm ones while I bake up the second batch. Take them out and serve warm. Cook bacon, If you'd like, cut the bacon up in pieces (I used kitchen scissors) and then cook it. 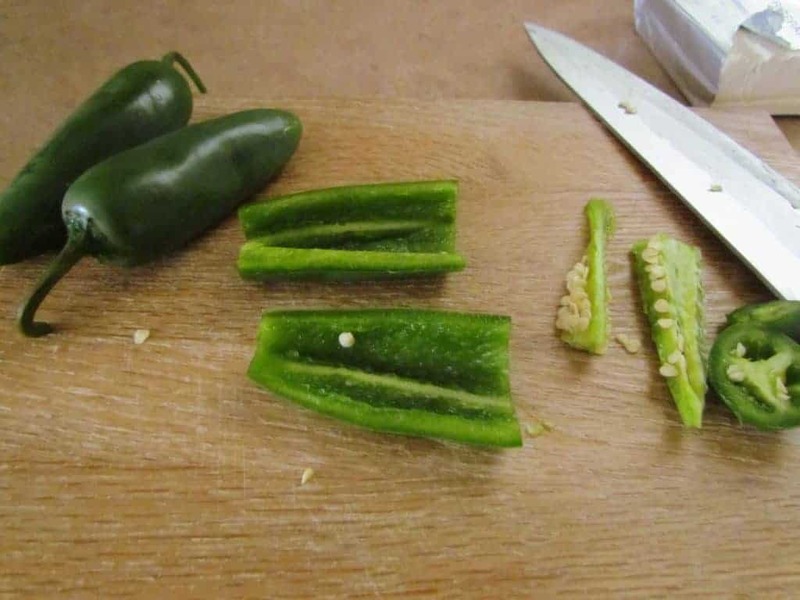 Cut up jalapenos. Be sure to remove seeds. (If you are sensitive to jalapenos, you may want to wear gloves while doing this). 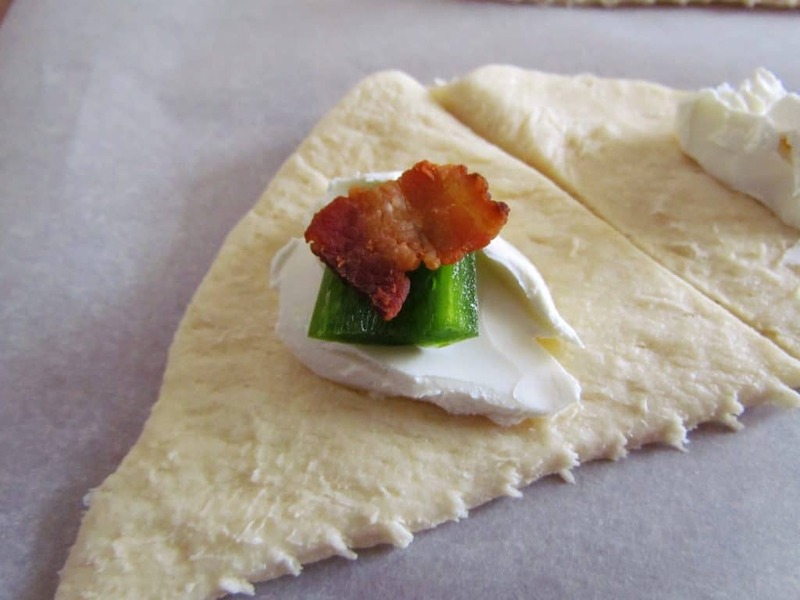 On each triangle, put a shmear of cream cheese. I like a lot of cream cheese so I put about 1/2 tbsp. or so on each one. Then put a piece of jalapeno, followed by some cooked bacon. Roll them up into bundles. Just do your best to close all the seams so the cream cheese doesn't run out while baking. 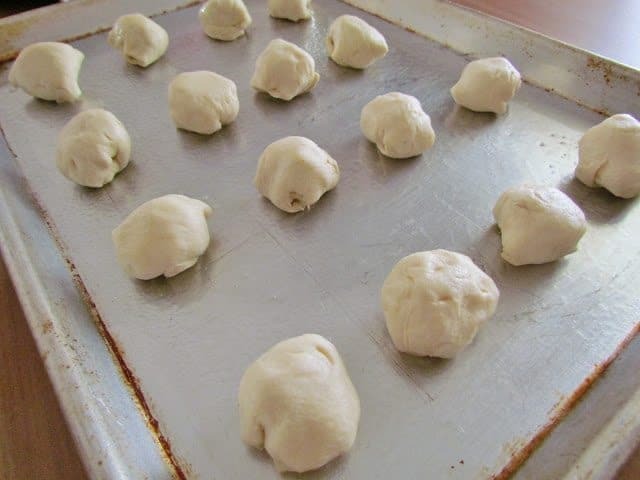 Now place all your bundles on your baking sheet (seam side down). I usually only cook one set at a time. Bake for about 12-15 minutes (or until golden brown). This recipe should actually be enough for 2 tubes of crescent rolls (depending on how much bacon & cream cheese you use per roll). If I move in next door will you feed me? That is all. Sounds like another winner, Brandie!!! Haha the holidays always remind me of fa ra ra ra ra, ra ra ra ra! These little bites look amazing, what a great & easy idea! Yum! These look great, thanks for sharing them. 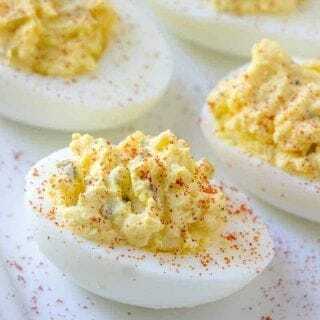 I love anything that can be used as an appetizer at a party and these would be perfect! What a great idea for a quick, no-fuss appetizer (which we all need during this season, eh?). These look absolutely delicious. What a perfect little party appetizer! I would love to make these (but without the bacon since I don't eat pork) for my next get together. Yum yum. Maggie, I bet turkey bacon would be the next best thing! I think that it is pretty good! You have given us quite an appetizer here. It is not fried-bravo. It is easy to prepare. It has a short and easy to find ingredient list. Best of all though, they look to be delicious as well as addictive. Well done Brandie! I love bite-sized anything. Perfect! 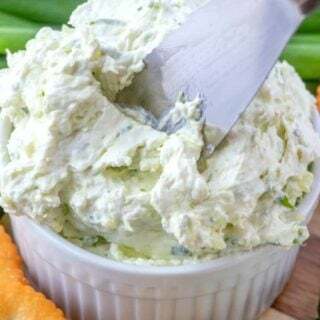 I am currently using a jalapeno popper dip recipe from allrecipes (mayo, cream cheese, Parmesan cheese, green chiles, and – of course – jalapenos). Equally as easy but not "bite-sized". Thanks for sharing! My,my,my simply my! I need a calculator to figure out how many of these I'd have to make to fill up my boys. Fantastic recipe. 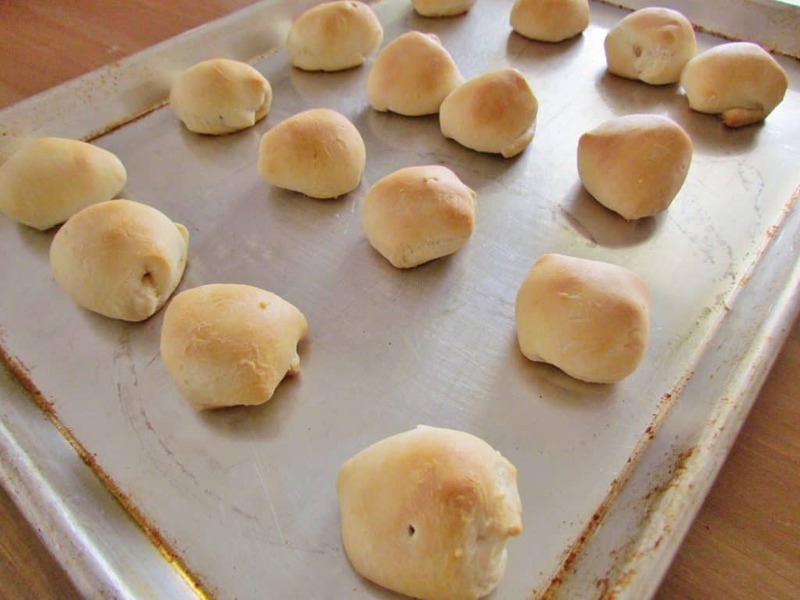 Possibly stupid question, but … do you use a whole crescent roll for each popper? They look amazing, but my head is saying that is a lot of bread. No??? I am definitely going to try this recipe though. 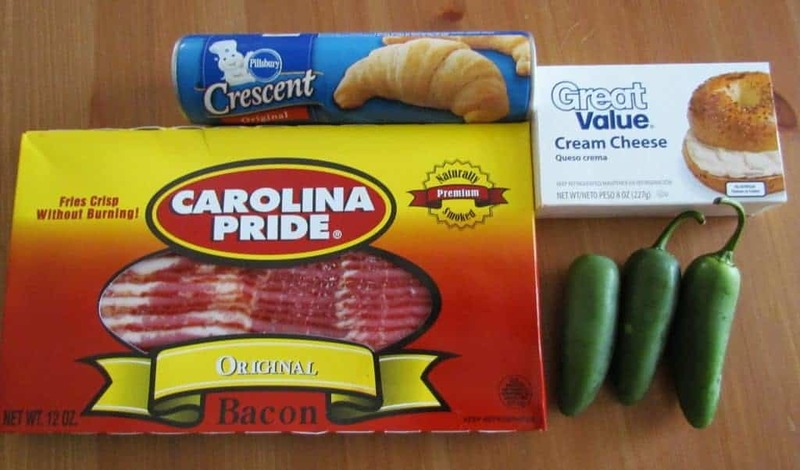 Cream cheese, jalepano, bacon … yum!! My hubs would love these little tasty bites! 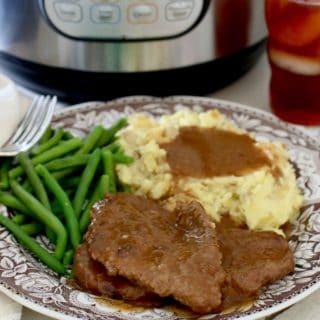 Love the simplicity of this recipe – very nice Brandie. Thanks for sharing. Hubs thanks you too. =) Please stop by my blog and enter a giveaway I have going on now. Enjoy a great weekend. 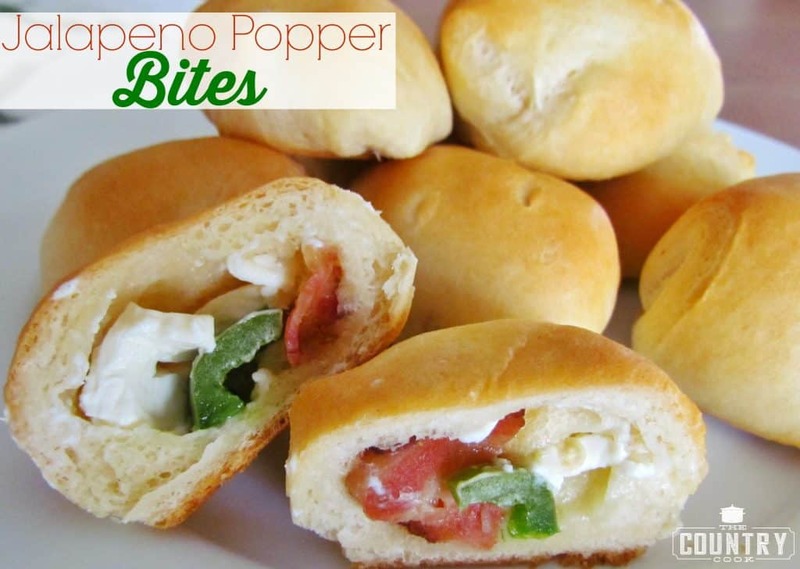 These little bites with the bacon and jalapeno are perfect for the holiday parties. 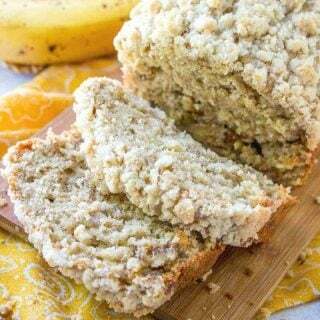 Easy to make and delish! Omg I have not had these in so long! 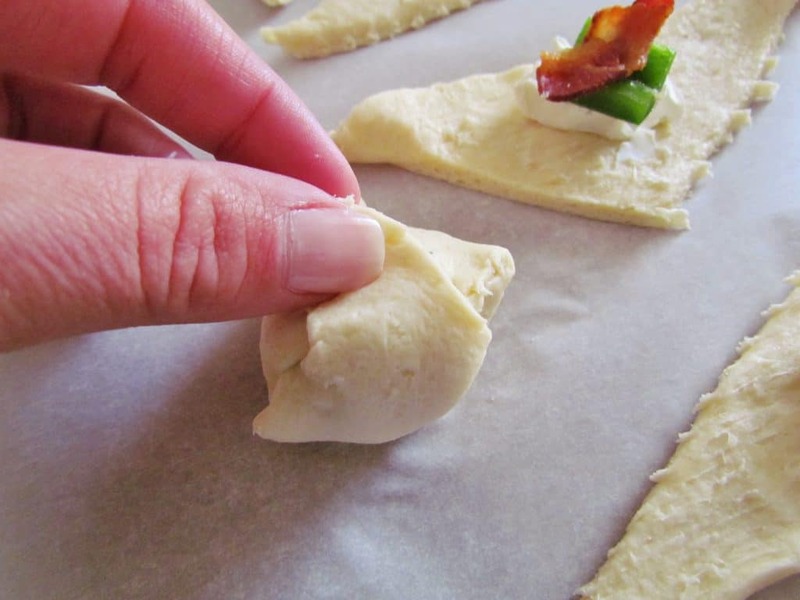 I love that you just used the crescent rolls – such a great idea for an appetizer! Yum! I love appetizers this time of year especially! I think I might swap out the jalapeno for a little sauteed mushroom for the little man! Yum! Thanks for sharing at Church Supper! Have a blessed week and Happy Thanksgiving! I can see so many fun things to do with these little bites, but I'm making them just the way they are! Of course for my Nebraska friends this old Texas girl will use milder peppers! Thank you for this great idea!! 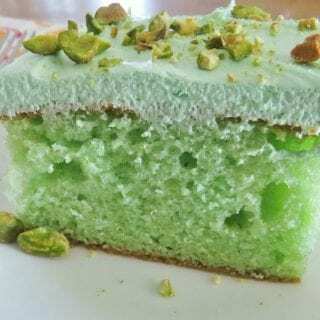 Just "discovered" your blog through Gooseberry Patch-love those gals-and the coconut cake you made for your Mom's birthday this year. I also remember those Tupperware parties and still have my little bowl keychain. Did you recall that the bowl will hold one dollar in coins? Good times. 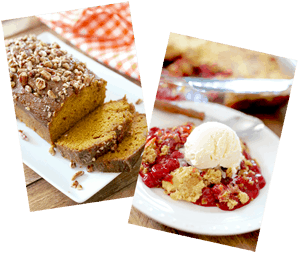 Great site and your recipes look scrumdiddlyumptious! What seasonings would you add to this if you wanted a little taste?